The cloud, the cloud! 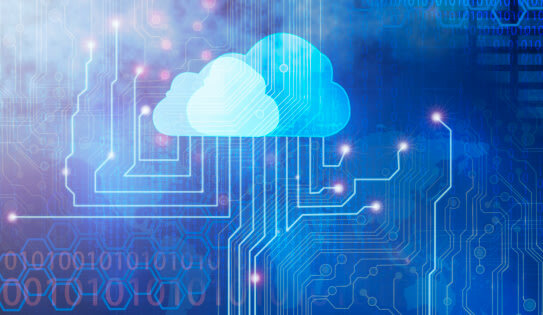 By now most entrepreneurs have heard that the cloud can help their small business operate with the computing sophistication and efficiencies of a big business. But many still aren’t sure just how. One great example can be seen in a new service launched today by the Silicon Valley startup Pertino. Pertino’s founders—a team of networking and security innovators with top management experience at Packeteer, Apple, Blue Coat, and HP’s Mercury Interactive—say they aim to bring enterprise-class computing networks to even the tiniest operations. Pertino’s founders say that, as the workforce becomes increasingly mobile, mobile-device enabled, and accustomed to 24-7 access to information, demands on business networks are increasing. Their service is designed for resource-constrained small- and medium-sized businesses that find wide-area networks to be complex, expensive, and limiting. For its potential to democratize enterprise-computing access, the year-old company, which takes its name from the Silicon Valley city Cupertino the way networking pioneer Cisco Systems took its name from San Francisco, has already been named to several lists of leading cloud computing startups, including ComputerWorld’s, NetworkWorld’s, and CRN Magazine’s. Whereas setting up a traditional wide-area network can cost thousands in hardware and take weeks to plan, configure, deploy, and maintain, Pertino says building a cloud network using its service takes a few minutes and requires no hardware, expertise, or upfront costs. And once an employer establishes its cloud network, inviting users to join is as easy as adding contacts in LinkedIn. Krautkremer adds, “There used to be a time when small businesses faced different problems, different regulations from larger enterprises. But if you’re a small business owner today, chances are you’re impacted by global factors at a different scale with relative importance: You’re competing against products from China; you’re selling around the world.” Krautkremer says in the Midwest where he lives there are small farms dealing with global commodities and marketplaces. And in the post-9/11 era, a small power company in upstate Maine is likely facing the same regulations as Con Ed. The problem, he says, is that small businesses don’t have the resources or capital to compete, be compliant, and deal with a far-flung operation. The IT infrastructure to facilitate such global operations has been built for big business. Cloud-based networking enables small businesses to embrace the same sorts of applications and infrastructure that big businesses do, Krautkremer says. Pertino’s service is available now on a select set of computing devices and will be offered for additional devices throughout 2013. A personal plan that provides a personal cloud network for up to three members and three devices each is free. Beyond that, subscriptions are $10 per user monthly.